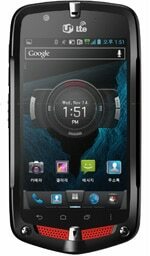 The Casio G’zOne CA-201L is a rugged Android smartphone that comes with NFC and an embedded secure element. The device is shockproof, waterproof and dustproof and incorporates an NFC controller and embedded secure element from STMicroelectronics. The CA-201L also supports SIM-based NFC. A 1.5GHz dual core Snapdragon S4 SM8960 processor runs Android 4.0 Ice Cream Sandwich. The CA-201L is made by NEC Casio Mobile Communications, a mobile handset manufacturing joint venture between NEC, Casio and Hitachi, and is available in South Korea on the LG U+ network. Where and how can I buy this phone in the United Kingdom (UK)? Please let me know. Thank you…..
Amazon and eBay are both good for tracking down phones that aren’t officially imported to the UK.